MDC Computers | Do you know what programs you have installed? Do you know what programs you have installed? 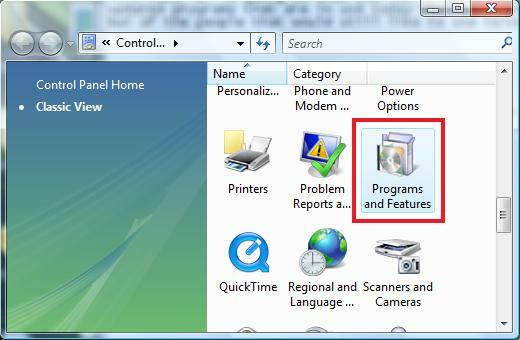 Home Computer Basics Do you know what programs you have installed? A computer is much like a house. It’s a very personal environment, that host most of our possessions, memories, and both are used to interact with friends and loved ones. So, if you know your house inside and out, you might want to know the ins and outs of your computer. One thing that is very common with average computer users are the installation of excess and unneeded programs. There are three things to know. You need to know what programs you use, what programs your computer needs, and what programs are useful for that “just in case” computer moment. In this blog we will go over lots of those, there are hundreds of programs that fall into the above mentioned. In this post we will go over the basics. Checking to see what programs we have installed, and how to uninstall the unnecessary ones. 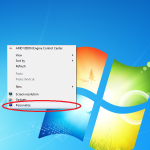 These are located in the Control Panel under “Add or Remove Programs“, for older Windows Versions, and “Programs and Features” in newer Windows Versions. 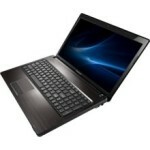 Take a look and see what programs you have installed. You will know some, and have no clue about others. A lot of people are scared of uninstalling programs because they think they might harm or cause their computer to not work. It’s almost impossible to know what every program does, that’s where having a computer at your fingertips is helpful. The best way to learn about a program is to simply look it up. Type the name of the program in any search engine to see what it does and if you may need it. The internet will always have answers from other users whom experienced or have knowledge about that questionable program you have installed. When looking up your program, see if any others have the words “Spyware”, or “Virus” listed after. If so we do not need to have this program installed. It could be causing our computer harm and making it run slower. Just like reading reviews and ratings on the latest gadget or a new coffee maker we would like to get our mom for Christmas, you will find information on programs and if they are good to have installed on our computers. Once you are versed in what a program does, we can now make and informed decision to keep or to uninstall the program. After that it’s just a matter of selecting the program and clicking on the uninstall or remove button. I would suggest trying to look up information on about 5 programs listed on your computer. Do a little at a time, and in a very short time you will be familiar with maintaining the programs in your computer, just like you would maintain a clutter in your house.